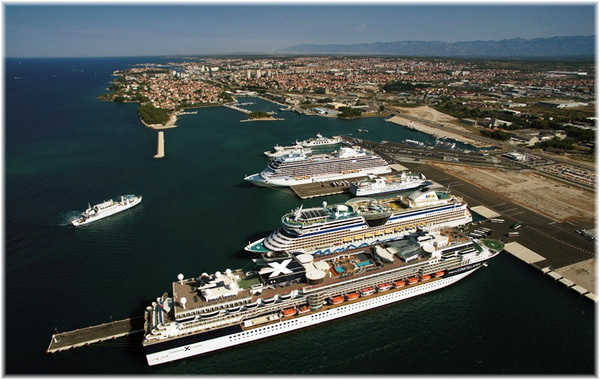 Zadar port has seen a significant rise in passenger numbers in recent years and it seems the numbers are still growing. From 2012, passenger numbers have increased from 20,000 to a record 130,000 in 2016. Numbers look to be similar for 2017 with more growth planned for 2018. 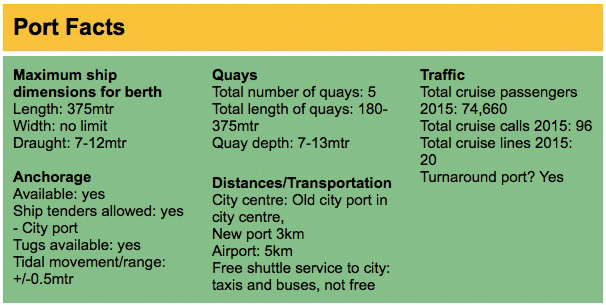 In 2015 Port of Zadar completed the infrastructure works in the new port area of Gazenica, and port operations began in April 2015. Infrastructure requirements have been met to enable all sizes of cruise ship to call, and to allow better and faster access to the Croatian national parks and destination attractions. It is expected the construction of the new terminal building will be completed by the end of 2018, which aside from local and international ferry traffic, will be able to accept and organise home port operations. Krka Waterfalls, Plitvice lakes, Island of Pag, Zadar City Tour, Ancient City of Nin – wine tasting tour and Kornati Islands are the most popular excursions. A new tour is available called ‘The way around the Long Island’. Witness the magnificence of Golubinka cave and ‘Dragon’s Eye’ at the Brbiscica bay, jump from the cliffs into ‘deep blue’, snorkel at The Great White Stone beach, enjoy ‘picigin’ game at Sakarun, ride through the military ship tunnels and stop for Bozava village sightseeing. Don’t miss the sunset at the Zadar Sea Organ. All in one day, in just one tour.